I am Yash Oza, and I have been selected to be a part of an expedition with Mountain Homestays, a flagship program conducted by Global Himalayan Expedition (GHE). 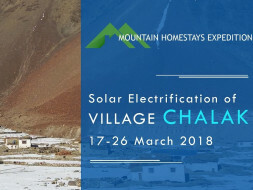 The 10-member team is going to the Chalak village in Ladakh, which consists of 12 households, situated about 35 - 40 kilometers away from the closest motorable road. The people living here do not have access to electricity and hence still await their first light bulb. 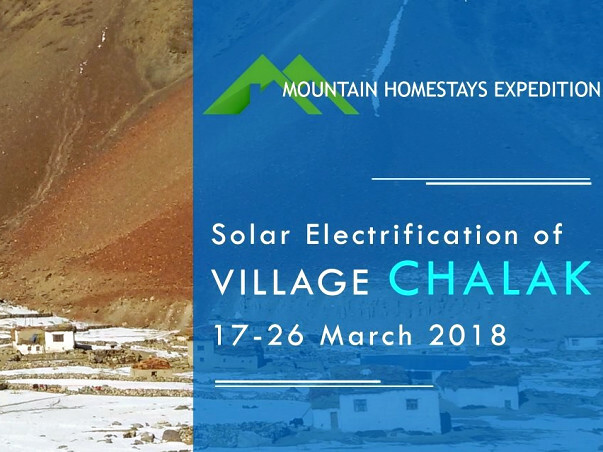 Our team’s mission is to install solar panels and the rest of the required framework to set into motion a sustainable source of electricity for the villagers. The GHE team has electrified about 54 villages previously, and the smile on the people’s faces when they see the light bulbs glowing for the first time is priceless. Some of the previous expeditions have been covered by National Geographic and NDTV (link attached). As a participant in this expedition, I have to contribute a total of INR 70,000 (~1100$). This is where I would need help from all of you guys. The entirety of this money will be used for the necessary equipments and people required for the setup. My travel costs, gear costs and funds for the trip will be borne by me. If there is any way (funding me yourself / pointing me to companies or other people who could identify with my cause and help me out) you can help me in this mission, it would be a huge favour to me as well as to those people in the village. 1. Any donation above INR 3,000 - I will gift you a book, personally thanking you for your contribution. 2. Any donation above INR 5,000 - You will get a book and a memorabilia from Ladakh. 3. Any donation above INR 10,000 - This contribution will get you all the benefits of the previous two categories. Additionally, I will also create a video with the people from the village thanking you for your help in making their life a little better. Apart from the benefits mentioned above, I can also help you guys out in a few other ways. I spend most of my time with robots and computers, and I can help you out in conducting talks and workshops for people willing to get started in robotics. I have also been playing the guitar for some time now, and I can help you out by teaching you some songs or coaching you on some basic music theory. Just reach out to me and we can talk about it. Every donation is highly appreciated! 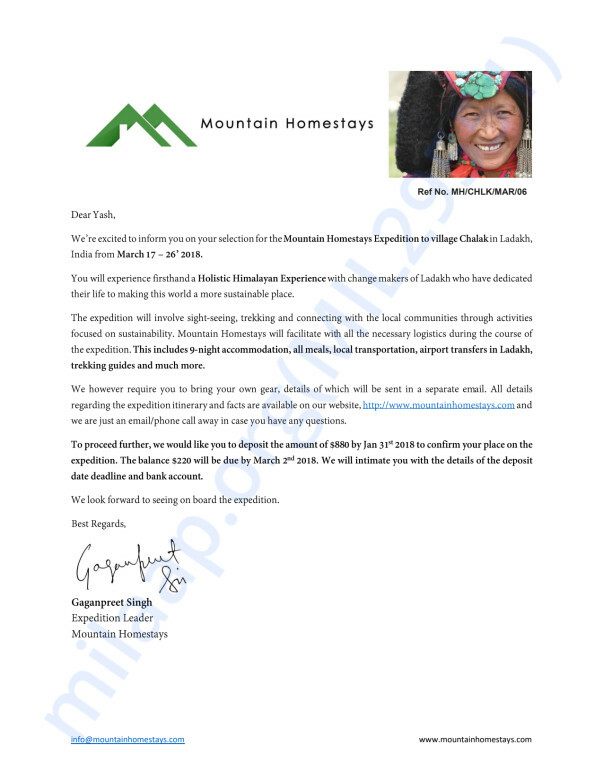 This is my acceptance letter from Global Himalayan Expedition. Wow! I am sure you must be super excited to be a part of this wonderful initiative. Great going.